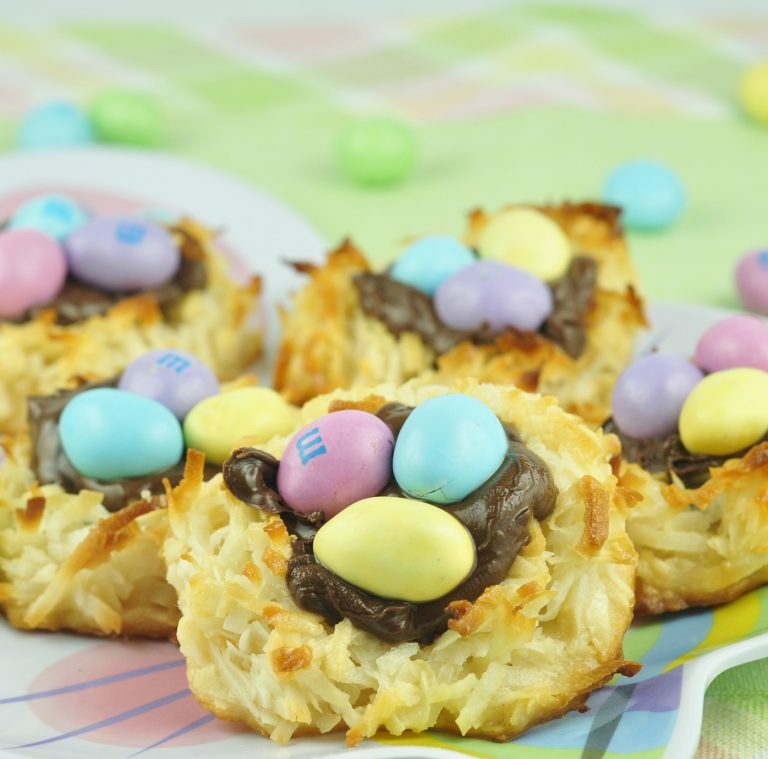 Easy Easter dessert recipe for Coconut Macaroon Nutella Easter Nests filled with Nutella and topped with peanut M&M’s to look like a bird’s nest and eggs! 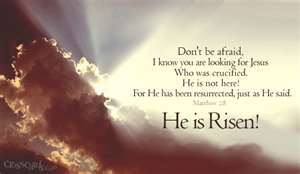 Well, somehow Easter has snuck up on me and is now just a few days away! 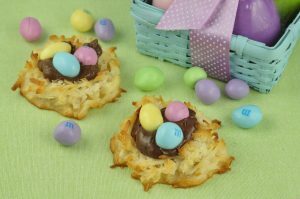 This Coconut Macaroon Nutella Nests recipe is a wonderful cookie recipe for any Easter or spring celebration. 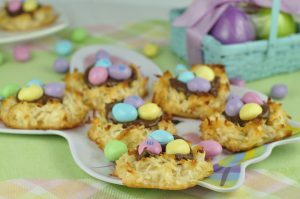 They are the perfect addition to your Easter table or a spring party! They are moist, festive, tasty, rich, chewy, and most importantly, cute! Yes, they are soooo cute and a fun treat to have on the table for Easter dessert. These Coconut Macaroon Nutella Nests don’t have to be Easter specific, however. The pastel colors are cute for spring and summer, in general. Enjoy and let me know what you think! I think that I will make these a yearly tradition in my home. What are some Easter traditions in your family? If you love fun Easter treats, try these Fruity Pebbles Easter Eggs or this Easter Bunny Bark! 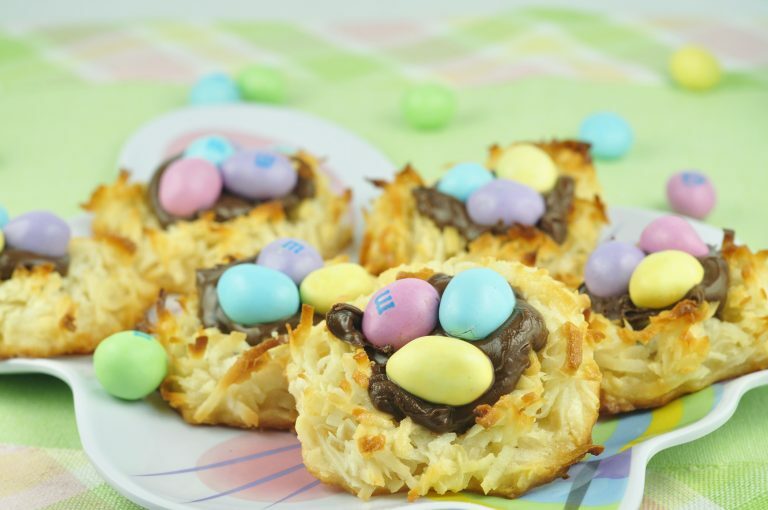 This is a quick and easy Easter dessert recipe for coconut macaroons filled with Nutella and topped with peanut M&M's to look like a bird's nest and eggs. In a large bowl, stir together the sweetened condensed milk, egg white, vanilla extract, and salt. Stir until combined. Add in the coconut and mix well. 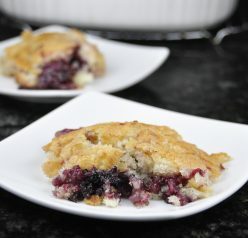 With a spoon, scoop up about 2-3 Tablespoons of the dough and place the dough onto the prepared baking sheet. Form the cookies into the shape of a bird nest. Press down the center with your thumb. Bake cookies for 17 to 20 minutes, or until slightly golden brown. Remove from the oven and press your thumb down in the center of the nests again (be careful not to burn yourself). 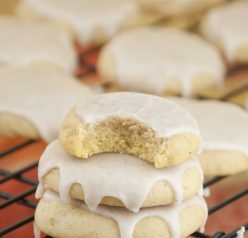 Cool the cookies on the baking sheets for about 5 minutes or until they are firm and set. Remove with a spatula onto a cooling rack. Cool completely. Place about a tablespoon of Nutella in the center of each nest. Place 3 egg candies in the center of the each nest and then they are ready to serve! Note: you can make these a couple of days in advance. Store in an air tight container on the counter. Very cute and easy! I used this recipe as my first attempt at macaroons, and everyone went back for more! That’s awesome! This was my first attempt at macaroons, also. They were a lot easier than I expected! So pretty! These look mighty tasty and quick to make. They were a lot easier to make than I thought they would be (this was my first attempt at macaroons). Thanks for the comment! Wow! How cute are these cookies. They combine all of my favorite things- especially nutella! Thanks for the nice comment, Jennie! I hope you like them! Thanks for commenting! Spring is by far my favorite season! Fall is a close second, but I just love the feeling of new beginnings that arrive with Spring. These look delicious! Does anyone know how many they make? Hi Riley, This made about 10 “nests” for me. Thanks for visiting my page! Hi Ashley! These are beautiful! Thanks, Jenna! I love the spring colors this time of year. I do so agree. Springtime IS the best season. These special Easter cookies look so tempting and cute! These look so adorable. 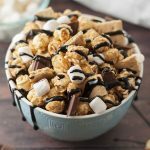 I cannot wait to try them for my easter party this weekend!